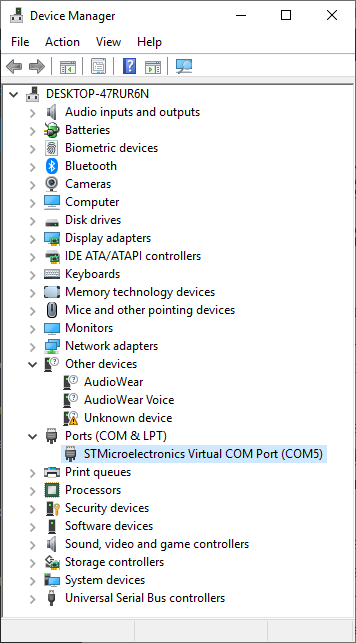 For some reason, the Virtual Com Port (VCP) drivers for STM32 chips were acting up and not properly enumerating a usable COM port on Windows when I was testing an STM32L476 chip. I’m not sure if this is a chip-specific issue or if this problem shows up on more chips using the STM32Cube Hardware Abstraction Layer. 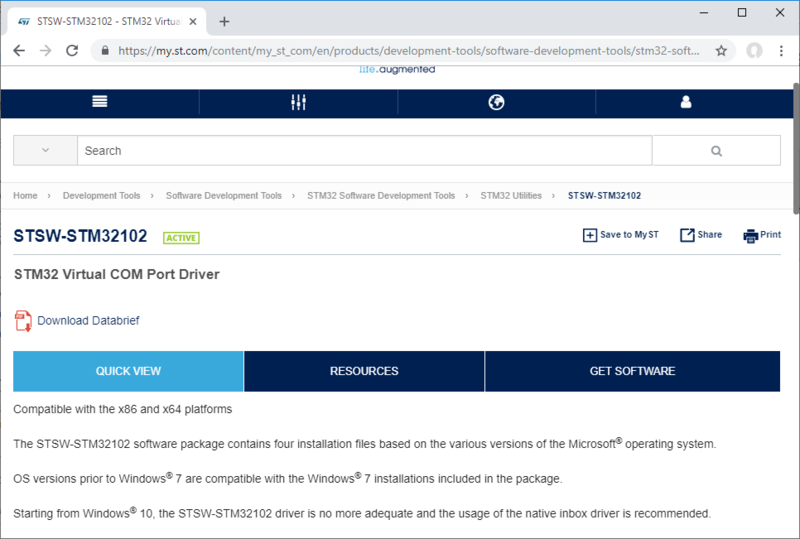 The solution was to install an older Windows 8 VCP driver that they list on their website as part number STSW-STM32102. The fun part is that the README file says “For Windows 10, use Microsoft inbox driver and not this package.“, which doesn’t do anything for me. The 64-bit driver for Windows 8 works fine on Windows 10 and fixes the problem. 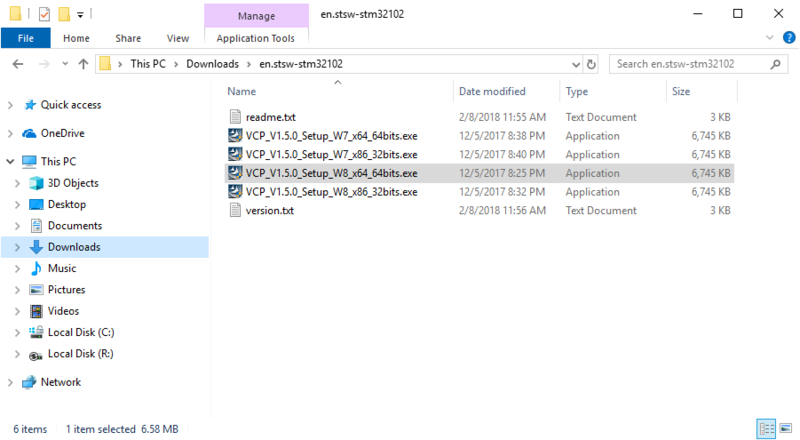 After installing the driver, the entry shows up in the installed programs. 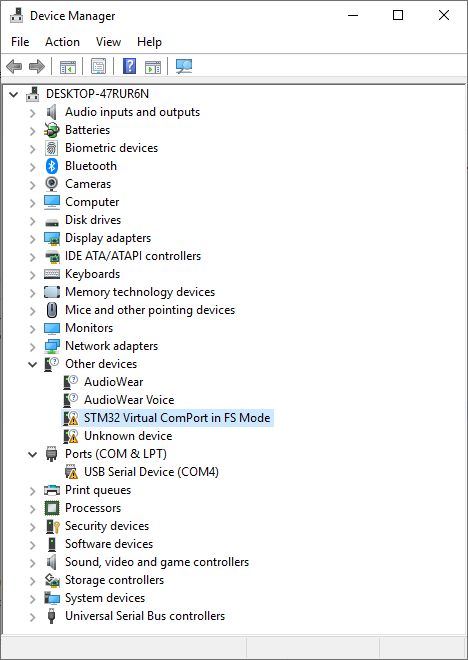 And more importantly, the USB device enumerates correctly as a COM port in the Device Manager. Still getting “This device cannot start. (Code 10)” on Windows 10 x64 machine. I’d say it’s worth a try, though as long as the custom device shows up as some kind of device that you can read / write data to using something like TeraTerm or pyserial, there’s probably not much difference between the two device types. Previous Previous post: Does Microchip have a C++11 / C++14 / C++17 compiler for their 8-bit microcontrollers?